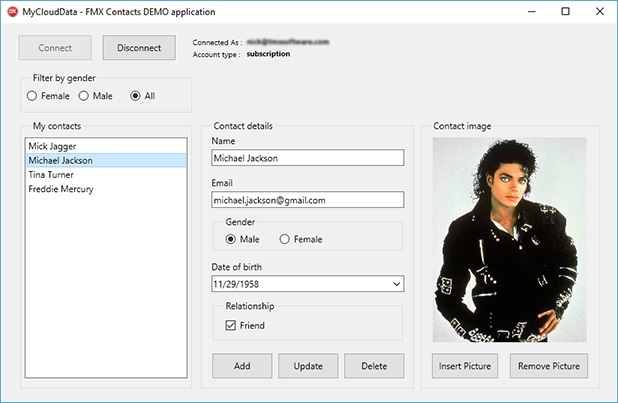 Just drag the myCloudData REST Client component on your form and start using the myCloudData Service as it was a local database. Whether you are developing Windows, Mac , IOS or Android applications, the myCloudData REST Client will suit your needs. The myCloudData REST Client is completely open-source and hosted on GitHub. That means that you can freely customize the code and add any functionality that it might be lacking for your specific project. You can use the myCloudData REST Client completely free of charge for any commercial or non-commercial project. The free myCloudData REST client component is based on the REST technology that is included in Delphi 10.1 Berlin and 10.2 Tokyo. It can be used with your Delphi 10.1 Berlin or 10.2 Tokyo IDE as-is, no need to install extra commercial libraries.